Made of Lycra to cut through the wind. The shoe covers come up on your ankle to the same height as our socks about 3 inches above the shoe. Quality construction features a flap behind the zipper back to avoid irritation, cutouts on the ankle and around the cleat with piping to avoid tears, gripper top to avoid slipping down, and 2 sizes for a perfect fit. Your browser isn't supported for displaying eBay items. 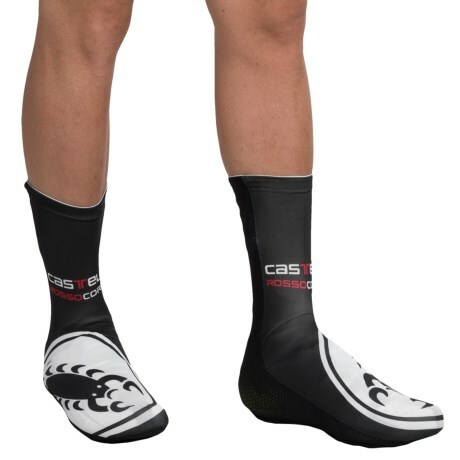 Go to eBay to search for SockGuy Aero Bootie Cycling Shoe Covers.